The season of outdoor adventures, lakeside barbecues, and relaxing vacations is well and truly underway. However, while we’re enjoying our adrenaline-inducing sports and deliciously sweet treats, a variety of dental emergencies can occur. We all know how important it is to keep our mouths and teeth healthy in the sun, but there are some accidents and dental emergencies that simply can’t be prevented. Here are some of the most common summer dental injuries, and how you can treat them. 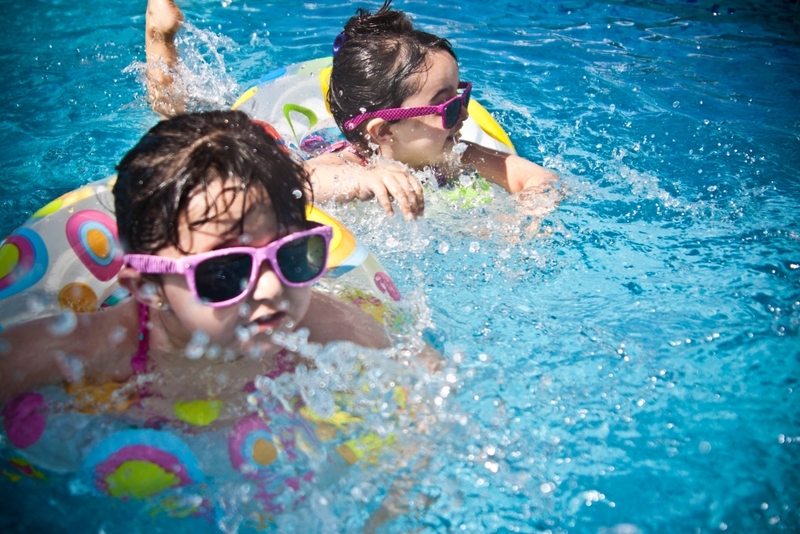 A large majority of summer injuries occur in the pool. Chipped teeth are fairly common for both adults and children, and it often doesn’t take much to sustain one: A fall on the slippery pool deck, a dive into shallow waters, or a bit of bad luck can be all it takes. If you have chipped a tooth, it’s important to rinse your mouth with warm water, and stop the bleeding by lightly pressing gauze against the wound. To reduce the pain and swelling, place an ice pack on the area where your tooth is chipped, and take an over-the-counter pain reliever. The chip can often be successfully reattached, so make sure to save and rinse any pieces, and take them to your dentist with you immediately. However, if you can’t find the broken piece- don’t worry, as there are many other treatments available. 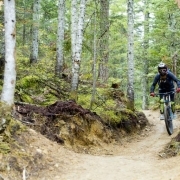 While there’s nothing quite like biking down Whistler or Blackcomb Mountain at extreme speed, it’s not uncommon to have a crash or fall. 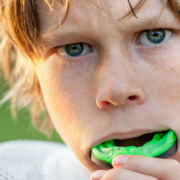 We offer custom-fit mouth guards to protect your teeth, and prevent broken or knocked out teeth from occurring in this scenario. If you do knock out a tooth, it’s important to immediately pick it up – but do not touch the root surface. Rinse it under warm water and, if possible, place it in a glass of milk, saline or cool water, before heading to your dentist straightaway. Our ultimate goal is to get the tooth back in the socket as soon as possible, as the quicker it is replaced, the better the chances of saving the tooth. Fillings and crowns can fall out when you eat hard, sticky sweets, or they can just become lose in the tooth. If you swallow a crown, don’t panic! It should pass without problem. A lost filling or crown is rarely an emergency, but it can be painful because the exposed tooth is extra sensitive. You should schedule an appointment with your dentist promptly, to avoid further damaging the exposed tooth, and to prevent the dentin underneath from changing shape. In the meantime, place dental cement directly on the tooth’s surface, to protect and seal the area. 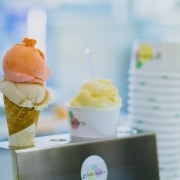 While we all like to indulge on our summer vacation, it’s important not to take a vacation from cleaning our teeth – especially if we’re treating ourselves to ice cream and fizzy drinks. If your oral hygiene routine starts to slip, you may begin to feel a sharp or constant tooth pain, or get some swelling around a tooth. To ease the pain, first rinse the mouth with warm water, and use floss to remove lodged food. It’s important to never put aspirin or other painkillers against the gums near the aching tooth, as this may burn the surrounding tissue. If your toothache is severe, or persists for over 2 days, visit your dentist immediately to make sure it isn’t something more serious. 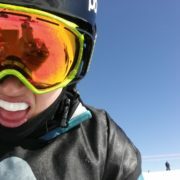 By being sensible in the sun, sticking to your brushing and flossing routine – and not attempting any crazy dangerous stunts or backflips – you can avoid many of these emergencies. Dental injuries require immediate attention, and you can find Whistler Dental on Main St., across from the Whistler Public Library. For more information on other dental injuries, see our emergency dental care advice. You can also contact us here to receive immediate advice from one of our dentists or specialists.